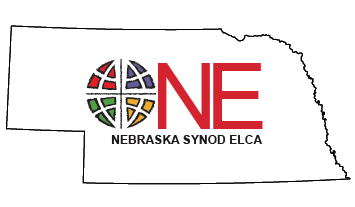 · The “We Are Church” emphasis of the Nebraska Synod Strategic Vision came to a close. The “’We Are Church’ Curriculum and Resources Lent 2017,” was distributed to all Pastors and congregations electronically and by mail. At least 69 leaders used the resource (based on survey results). Overall, the response was very positive. A huge thank you goes to the team for creating an excellent resource! · “The “We Are Lutheran” group presented at Synod Assembly. They showed a short video, which introduced the five themes of the next Lenten/Bible study: Word Alone, Faith Alone, Grace Alone, Christ Alone, To the Glory of God Alone. · October 29 Reformation Commemoration Worship at St. John’s Parish on the Creighton University campus in Omaha. · The “We are Church Together” group will be recruited this summer to begin their work this fall. Looking for multiple point parish leaders to hopefully form a coalition. · For the Forming Intentional Conversations goal, the justice committee and racism awareness group invited Reconciling Works to be part of an intentional conversation/awareness at the Synod Assembly. · Synod Council approved to eliminate this as a goal B6, 6.1, 6.2, 6.4 Mission Strategies and allow the things that are bubbling up naturally to lead in appropriate directions, while focusing on serving the communities the synod is already committed to. · The Young Adult Working Group has been working to carry out its project made possible by a $10,000 grant from Immanuel Vision Foundation. The group has envisioned a series of four, short videos featuring interviews of several members of various ages from three Nebraska Synod congregations. The videos will invite viewers to appreciate how people experience and talk about the church and their faith in different ways. The videos are being produced by StoryHook of Lincoln. The YA Working Group had a booth at the assembly Ministry Fair, and presented a “trailer” for the videos in a presentation on Saturday afternoon to the assembly. By July 1, the videos will be available on the synod’s YouTube page, along with downloadable “user’s guide”. The SLIM (Senior Lutherans in Mission) have met three times and have met with the Young Adult Working Group. They determined 3 categories of “seniors”-gold/silver/platinum for which to consider ministry. They had a presence at the Assembly ministry fair: SLIM F.A.S.T. with interactive survey to be completed and gather data in the areas of Faith, Action, Service, Thanks (Worship). This data will determine if there is a need for a synod produced resource to develop and implement Senior Ministries, a synod sponsored retreat/events, and a website/link to serve as curator to help seniors find assistance.